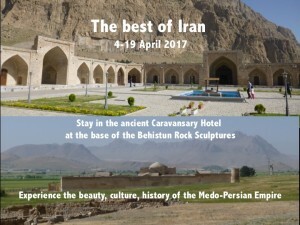 Experience the beauty and culture of Iran – ancient Persia. Visit ancient villages, cities and bazaars; enjoy the design and art of antiquity; get to experience life today – mix with the people, enjoy the food. Explore the land of biblical prophets – the cities of Esther, Mordecai, and Daniel’s visions. 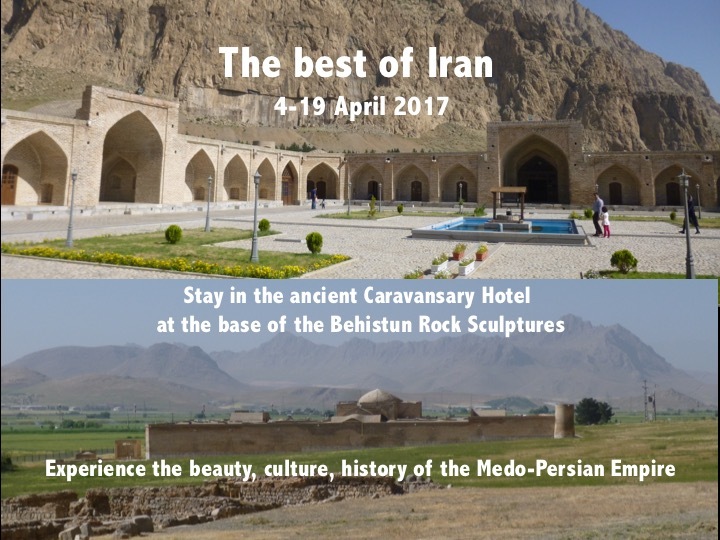 See the monumental cities where the history of Cyrus, Darius, Xerxes and Artexerxes was ‘written’ – and learn of the Biblical parallels. Peter Roennfeldt has traveled extensively in the Bible Lands – and invites you to join him on this journey of a lifetime to ancient Persia! INCLUDED: 15 NIGHTS / 16 DAYS with airport transfers in Iran, great hotels, local English speaking guide, all entrance tickets, tips covered, all meals (3 meals each day), water on the coach, air-conditioned coach with driver. TRAVEL ARRANGEMENTS: The tour starts from Tehran airport midmorning on TUE 4 APRIL – and finishes with transfers to Tehran airport on WED 19 APRIL. BOOKINGS for the tour, airfares, travel insurance & visas: contact Anita Fritz, Allround Travel Centre, anita@allroundtravelcentre.com.au ph: (+61) 07 5530 3555.